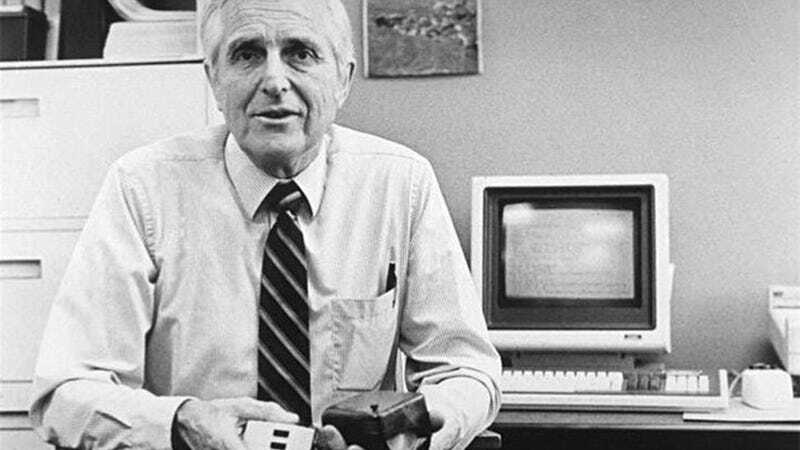 Douglas Engelbart, one of the great pioneers of computer science, has passed away at his home in Atherton, Calif. He was 88 years old. While he's credited with helping bring about several fundamental computing innovations, from graphical user interfaces to hyperlinks, his most lasting achievement was the work that led to the invention of the computer mouse. In the video below, you can see the first mouse in action, shown off as part of a 1968 demonstration. This demonstration, part of the Fall Joint Computer Conference in San Francisco, was one of the most important in computing history, as it marked the public debut of hyperlinks, text editing and windows. Engelbart is survived by his wife and four children.